I press F7 for perfect hack. Nothing seems to happen. Why why why!? Its normal, it wouldn't freeze the bar. Just play normally, You will get a perfect no matter where you space but you still have to manually press the keys. Do you have to drag any files to make it work? But for Vista and Win 7 users, you have to right click and Run the program as administrator. How do i reset the NPC? For normal bp, create a normal room (not bp room) and choose random song (100-120, 120-140 or ~100 Bpm). Close the slot where the NPC is to appear (which is bottom left). Press F3 once, click the 'SINGLE' button and the NPC will spawn with the 'plus' dens reseted. For Union bp, same thing as above. But close 3 slots to the right where the NPC appear. CHANGE the game mode to team, invite your friends and switch to blue aura. Now, press F4 and change the mode to something else. NPC will spawn after that. I can't seem to browse the NPC after it appears. Why!? You are able to select the NPCs only after you have finish playing the first round. Help! the dens are not reseted after i spawn the NPC. Why? You have to refresh the server. Go from one server to another for e.g Free to Others/ Others to Free. Or relog. Any tips to earn Dens quickly? Gather 5 ppl to reset and play normal bp. Drain the top few NPCs. 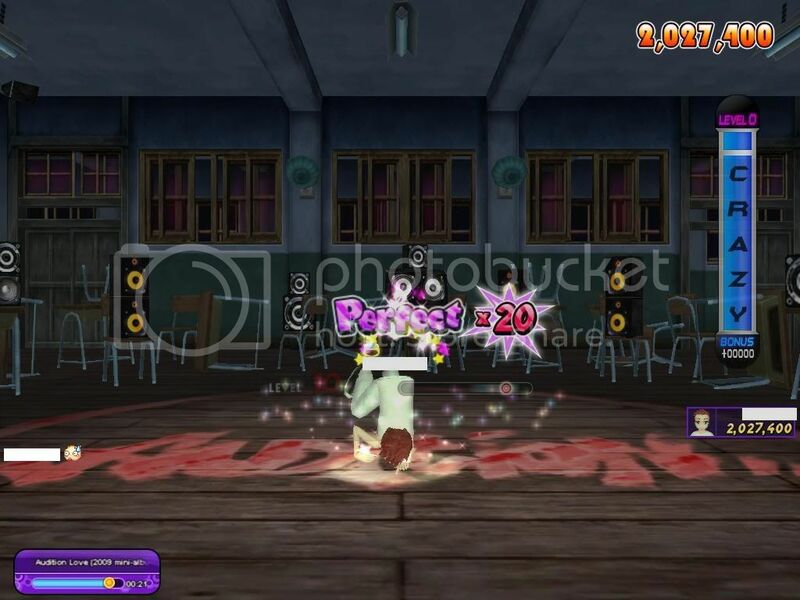 After Cathy, continue to drain the next NPC from the top =) the DJ click '<', it'll be around 180k+ per round. When you feel the 'plus' dens is getting low. Reset again. Does this program work for other Audition servers? I doubt so. its programmed to work only for AuditionSEA.